We’re all busy people, rushing around to work and keeping a social life on the go as well. And that means that anything that saves time is a good thing. Whilst shortcuts on your computer are probably pretty standard for you nowadays, mobile shortcuts might not be. But Android comes with a whole bunch of shortcuts and tricks pre programmed in. Okay, some of them might save you only a second, but all those seconds add up! If you’re a big mobile user, then there are definitely some shortcuts that you should have memorised, and we’re here to tell you which are our faves. We all get calls that we don’t want to answer. Maybe you’re busy, or maybe you just don’t want to speak to your mother in law again. Whatever the reason, there are tons of ways to ignore calls in Android. You could set your phone to priority only (which you activate by pressing volume up or volume down on your phone then hitting the star that appears over the volume slider). But that means going through all the hassle of deciding which numbers are priority and which aren’t and setting the whole thing up. You could block numbers through your contact menu. There’s a way easier way to handle all this though. We might be a fan of the vast amount of customisation options that Android has to offer, but sometimes the simplest solutions are the best. This might not be a short cut, but it’s an often overlooked trick: when you get a call you don’t want to answer, just key the volume on your phone all the way down. It takes half a second, doesn’t sound like you’re hanging up on the caller, and is easily reversible. Don’t overlook the small stuff! Ever had the perfect photo op, only to have it gone by the time you unlocked your phone, found your camera app and then launched it? Miss those shots no more with this handy shortcut. Android has a built in camera shortcut, and all you need to do is press the power button twice quickly. Your camera will launch automatically, even from a locked phone. Try it and it didn’t work? You may need to enable the option. Go into your Settings menu, hit Display, then toggle on the switch next to Press Power Button Twice for Camera. Now try it again and get instant camera access. Simple. Even the best phones occasionally freeze up for no real reason. In the old days, this was no big deal, since all you needed to do was pop out the battery, pop it back in and then switch back on. But with newer phone models having non-removable batteries, this old trick no longer works. What you want to be able to do is force a restart on your phone, kind of like pressing control-alt-delete on your Windows PC. And guess what? Android has a shortcut for this too. Press and hold the power and volume up buttons simultaneously, and your phone should switch off and then switch back on. Easy peasy. App info is a little screen that shows you, well, information, about a given app. This is vaguely interesting, you can see how long an apps been running for, how much data it’s used, and all that kind of minutiae. However, there’s a very good reason that you might want to open up app info. If an app has frozen, won’t run properly, or needs an update, opening up app info lets you press Force Stop which stops the app running until you open it again. Simply closing out of an app isn’t enough, since the app can still run in the background. The problem is that in order to access app info you need to go to Settings, then Apps, then find the app you want, then go into App Info…. All way too much work. But there’s an easier way. Open up your app drawer (the little white circle with six dots in it which usually lies on the bottom navigation bar of your home screen). Press and hold the app you want info for, then drag it up and over the App Info icon that will appear at the top of the screen. Bingo. We could go on all day about shortcuts and we really don’t have the space. But there are a few more things you should know. If you’re typing and need a number rather than switching to the number keypad and then back to the ABC keypad (who has time for that? ), simply press and hold on the letter that has the number you want next to it (Q, for example, has a small 1 next to it). Need to switch back and forth between two apps quickly? Open the first app, close it, then open the second one. You can now switch between the two for as long as you like simply by double tapping the small square icon on your navigation bar. Don’t have time to answer that call but don’t want to be rude? When your phone is ringing simply hit the message icon that’s on the right side of the screen and you’ll get a list of programmed responses (things like “can’t talk now”). The call will hang up and the caller will receive a text with your chosen message. 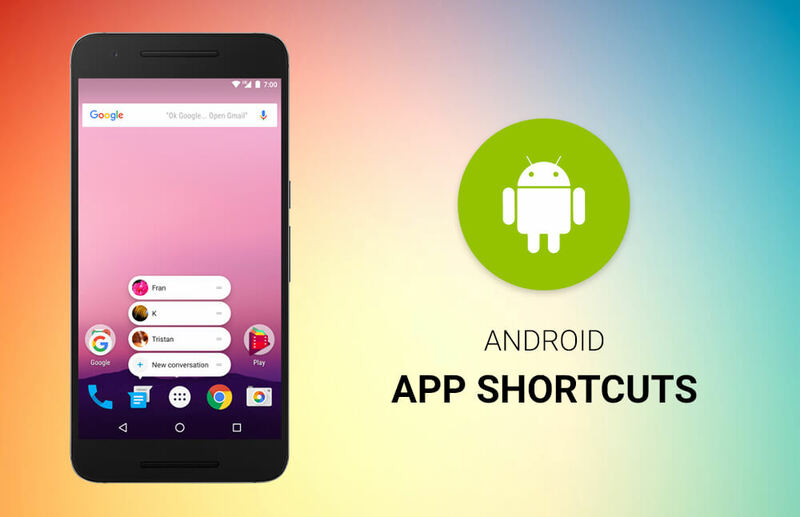 Anything that saves time is a great thing, and if you memorise these Android shortcuts, you’ll be the fastest phone user ever! I really learned many things from your website and its helps me to improve and grow my knowledge.#Don’t Pick Up!